I’ve said it many times, but a trailer problem, like most problems, are like an onion. There is no one issue that makes up a trailer problem for a horse. Problems may stem from a particular incident, but there are many layers that must be unpeeled to fix a trailer problem with a horse. When I come to a horse with a trailer problem, it is mostly irrelevant to know what caused the problem to begin. As I work with the horse, I will piece together my own assumption of what may have occurred. 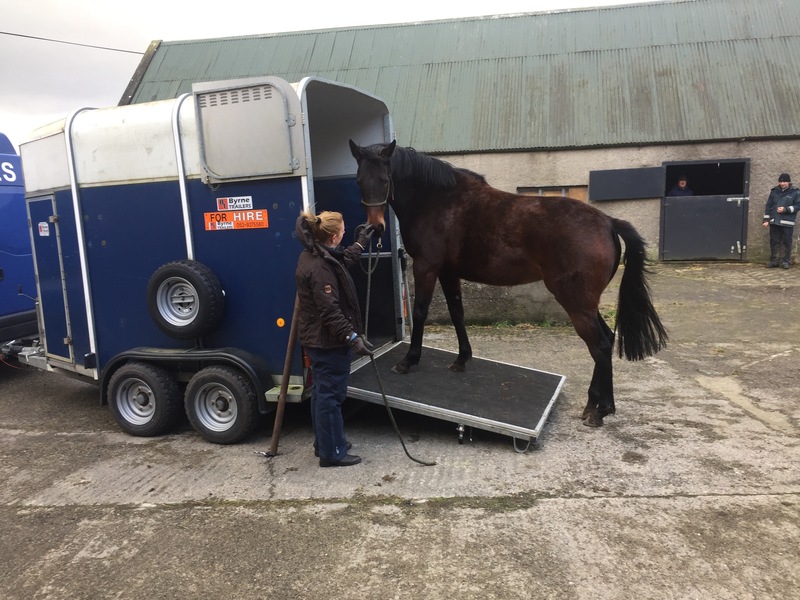 Horses can have problems with a trailer due to a number of reasons. Most are a result of fear or a lack of respect, but that is not what this article is about. I want to go deeper then that. So why? Why is this such a problem area. There is an almost unlimited amount of reasons these problems begin, but here are some of the most common. 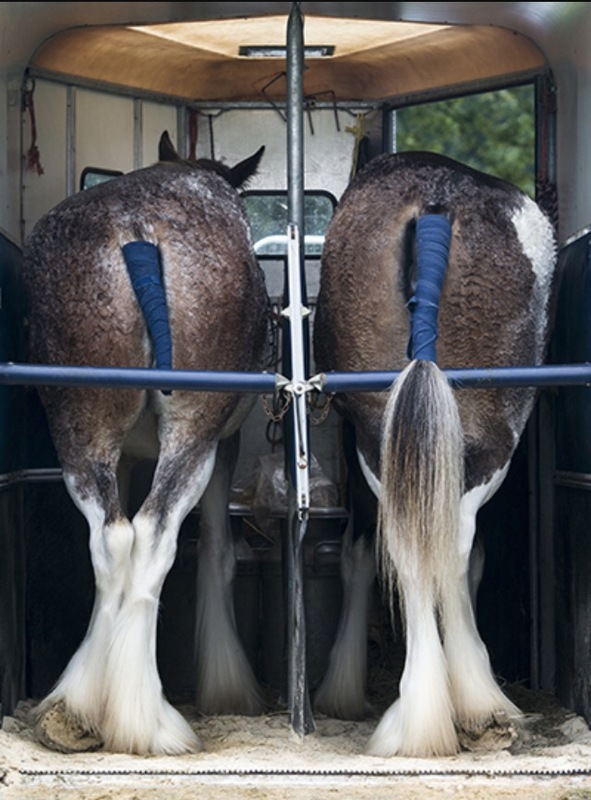 Most horses have never been trained to trailer safely and calmly. People buy or breed a horse, and when it comes time to take them somewhere, they hope for the best. If it doesn’t go horribly wrong, but not terribly wonderful, they hope over time that it will get better. Sometimes it does, sometimes it doesn’t. Some horses have inconsiderate drivers. They get tossed about in the box, and is it any surprise when they start refusing to go in. Perhaps the horse box is too small, or they got a fright and hit their head. This is terribly common, and once a horse is worried about their head, they become reluctant to go in. Some panic and can’t get out. This results in very restless movers, that paw and wreck about, particularly when the horse trailer isn’t moving. Others have been hurried in by stressed out owners and people attempting to “help” with whips, brooms, lunge lines, etc, only to have the door quickly slammed once they do go in. 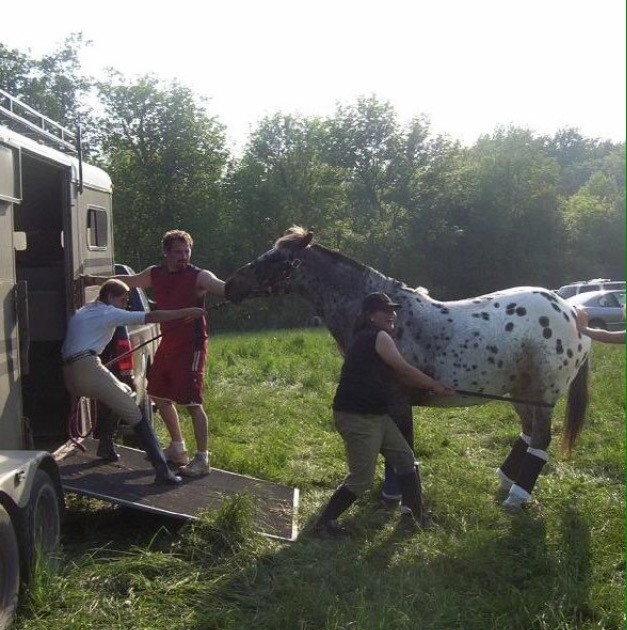 All of these situations generally lead to a horse that won’t go in or near the horse trailer. Horses are far from stupid, and when the trailer becomes a place they don’t want to go, they quickly figure out that most people can’t make them. People come up with tricks, or bribes to get them in, but this generally doesn’t work for very long. And if it is a fear based problem, they may get them in, only to have them rush back out, creating a whole different dangerous situation. When I go to fix a horse, I understand all the elements that must go together to get a horse to be safe and calm with the trailer. It is far more complicated then just “trailering”. To be safe, a horse must be able to be around the trailer in a calm fashion. They must be able to be led to the ramp. 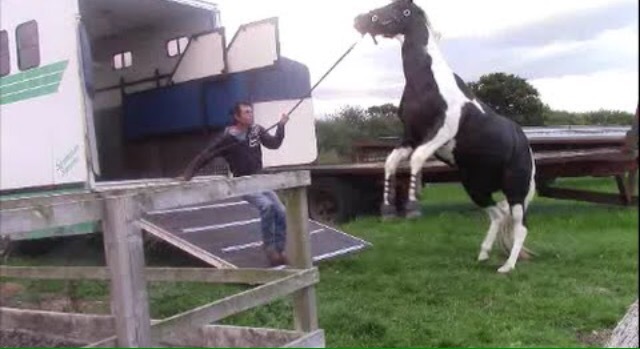 They must understand to go up and in the trailer straight and without running over their handler. They have to learn to walk on and stand on the ramp. Then walk on and into the trailer. They have to know how to back out calmly. They have to be able to stand, relaxed, in the trailer. They must be ok with the bounce of the trailer as they walk on and off. They must accept the clattering, metallic noise of the bar being messed with. The bar being placed behind them, and the feeling of being trapped when they back into it. The claustrophobic feeling once the door closes, and finally standing happily, quietly and calmly once closed up inside. All of this must be re-taught to a horse that has a problem, in a calm, non-rushed way. It is no wonder this process can take several hours. If at anytime, the horse feels rushed or forced, all his bad associations with the trailer will come flooding back. Adding to the difficulty is the fact that most horses can only really handle about 2 hours at most of learning before they hit overload. So taking all of this into account, what actually goes into fixing these sort of issues? All of the tasks the horse must accomplish have to be broken down. I first start away from the trailer. In order to be successful and safe with the trailer, a few things need to be established. I must be able to move every part of the horse, at my will, in a calm and responsive way. The horse will need to learn trust, and to respect my commands. He will need to learn to move forwards and backwards lightly, calmly and respectfully. The nose needs to follow the direction of the rope, and the front and back feet need to follow the nose. This will be important in leading the horse in, backing the horse out, and lining him up when he chooses to approach the ramp at an angle. A typical problem is a horse setting his feet firm and pulling back while trying to lead in, and possibly rearing when pushed. Also coming at the ramp at an angle to dive off either side. Also a horse racing out backwards. All these problems are partially addressed when the horse learns to follow the direction of the rope calmly and respectfully. The horse also has to learn to move his hind end and shoulder away from me, again calmly and respectfully. 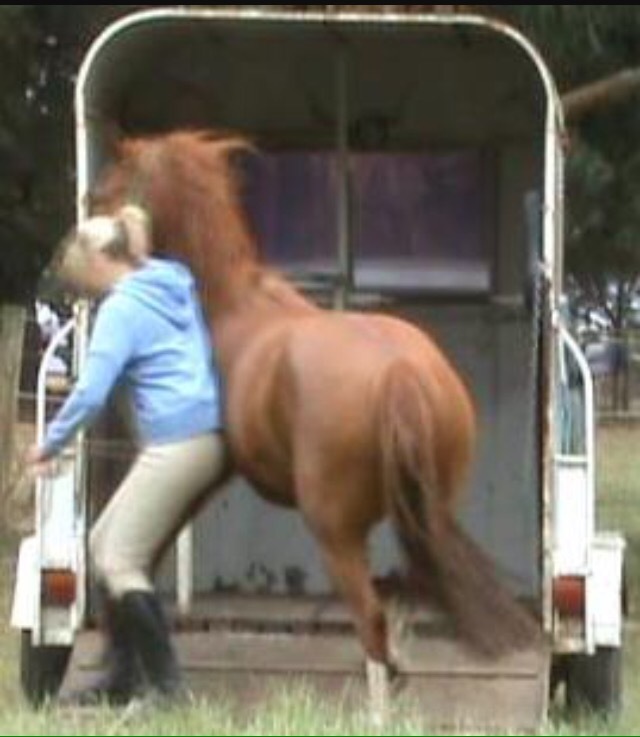 This prevents kicks and being run over as the horse tries to evade or becomes defensive about the trailer. He will need to learn to move forward on a circle, following his nose on the circle with lightness. He will learn that when he chooses to ignore following the rope, he will be driven forward at the girth area. This will be the key to helping the horse gain confidence, and ultimately over come the fear, around the trailer. Once all of these things can be accomplished on the ground, the trailer is introduced. At this point all the prior work comes together to teach the horse how to use the trailer properly. He will explore the trailer and re-learn each of the necessary steps involved in going in and out of the trailer. This is where most of the time is spent. They will explore the ramp, often times stamping, sniffing and pawing at it. Most horses would never have been given the opportunity to test it, to assure themselves it is safe. Over time the horse will become relaxed about having the front feet on the ramp. Eventually this will turn into having both the front and back feet on the ramp, and sniffing the inside of the box. This generally takes 2 hours, and is a good stopping point. The horse has now learned how to be around the trailer, approach it straight, and walk onto the ramp calmly and confidently. The next session will tackle the rest of the steps involved, and again, takes time and patience. The horse will move at his own pace. He will progress to going in and out, and usually does this literally one foot at a time. They will go in and out possibly hundreds of times. With each attempt, gaining more confidence in themselves, the trailer and me. When the horse makes significant progress, we walk away so he can think about it, and take the pressure off. This can and will take several hours. Once the horse is going in and out calmly. There is still the matter of the bar. For me, this is the most dangerous part. The horse can’t see what you are doing, but can hear noise. They most likely would have had people do “bad things” behind them in regards to the trailer, and hearing and sensing things behind them can bring back a flood of fear and panic. Teaching them to stand for the bar can add a considerable amount of time. 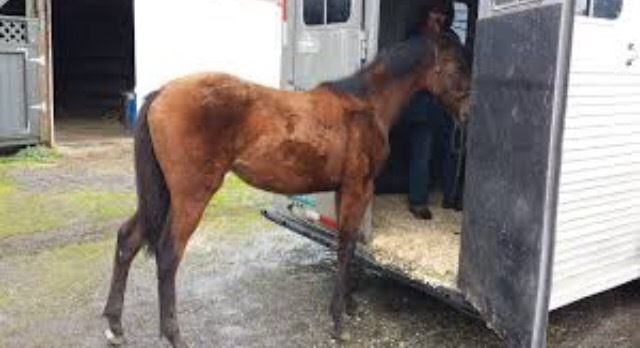 At all times the horse has been allowed to move in and out of the trailer at their own will, never feeling trapped. This is sooo very important to the process. 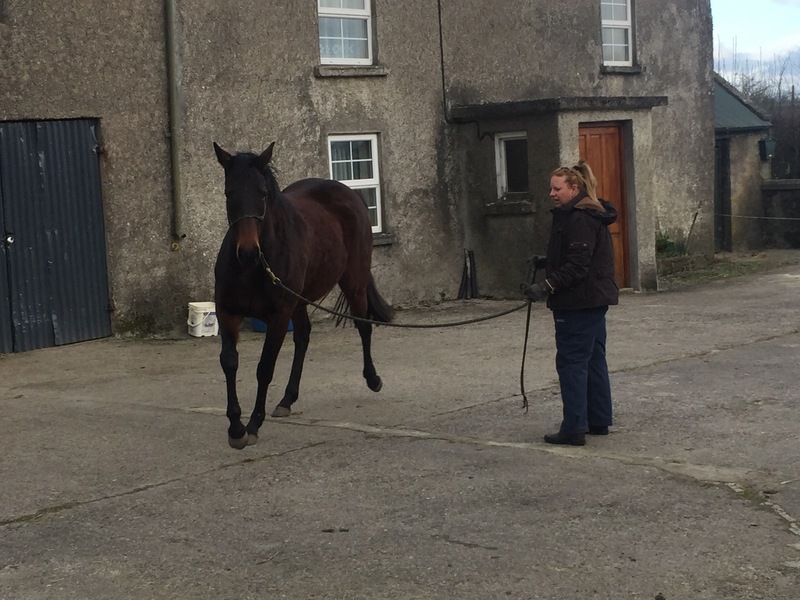 The horse will still be allowed to move in and out, building confidence, until the sound and sensing of someone messing about behind them no longer causes worry or fear. At some point, the bar will go up, and for the first time, they will be trapped. It is so very important to know when it is the right time. Trapping them in too soon can cause injury to them, me, the trailer, and undo a major amount of work. This is where my experience comes in to play. I know when a horse is ready. There is no time for impatience in this game. It takes as long as it takes. Once they are ok with the bar, closing the door is pretty irrelevant. They already know they are trapped and have calmly resisted the urge to panic. After all this, the horse deserves a a well earned rest. I usually recommend that the owners give the horse 2 days to let the lessons sink in (sometimes called “soak time”). I also recommend that they have at least 1 or more practice days about 10 days later, prior to having the added stress of actually having to go somewhere. It’s so easy to get caught up in the excitement of having a long term problem fixed, and over do the practicing. What people don’t realise is that most horses get bored so very easily. Once they have mastered something, they are ready to move on. This is true to any new skill they acquire. By overdoing the practice (of any new skill really), you risk boredom and, generally speaking, a bored horse is a mischievous horse. 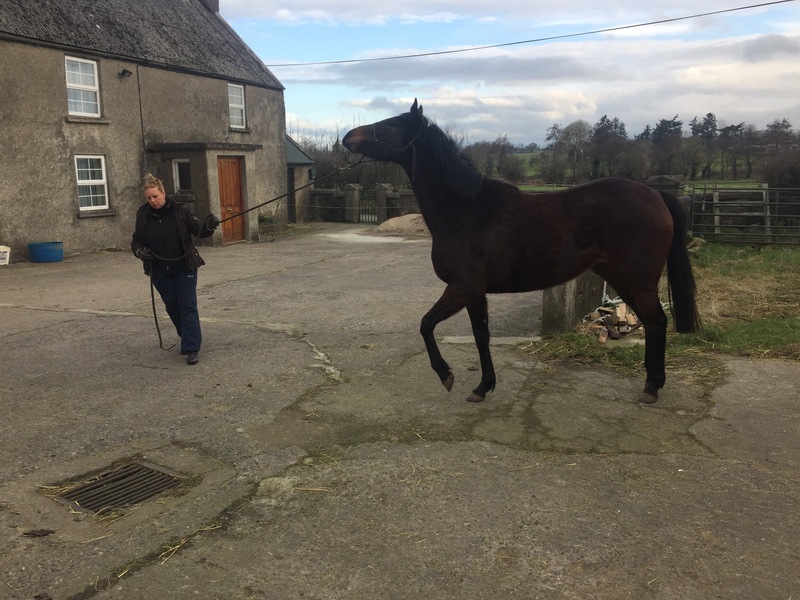 The practice is really more for the owners then the horse, as the horse has conquered his fears, but the owners will still be holding onto fear and disbelief, and this attitude will transfer into their handling. By practising and being successful, the owners will let go of their fear and worry, and replace it with optimism and confidence. This attitude will transfer to the horse when it actually becomes time to go somewhere. Having an in depth understanding of a problem is the first step in fixing it. Realising that most problems actually comprise of many small problems can help overcome many issues. If you are having a problem, try to break it down into the steps necessary to accomplish the task successfully, and try to remember to give your horse plenty of time to overcome his fears and anxieties surrounding their troubled area. Even disrespect issues ultimately stem from some sort of anxiety. Remaining calm and patient, allowing plenty of time, understanding all the small steps needed, and not overdoing anything the horse is performing well is the recipe to success when dealing with any problem horse.